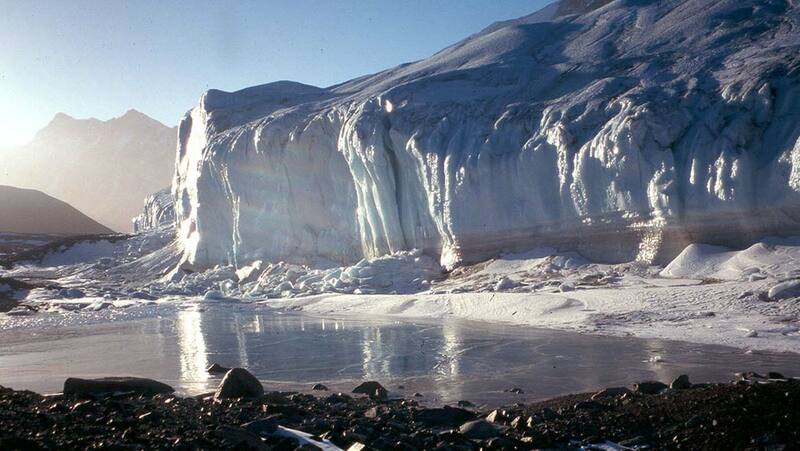 For as long as we’ve been studying our environment, polar ice and snow has been thought of as unable to support life. But now, new research suggests that living bacteria can survive in this hostile environment after all. These findings may well have implications for both our knowledge of climate history as well as telling us more about which other planets could potentially sustain life. Researchers have been sampling ice cores for years – using the information gleaned from these compacted layers of ice to provide an idea of what the Earth’s atmosphere was like in the past. Scientists have long been comparing the levels of carbon dioxide found in prehistoric ice cores, to those of the industrial era. We can use the information trapped within these ice core samples to measure both air pollution and the levels of particular gases in the environment at a given time. This gives us an indication of the impact humans may have had on the Earth over time. Using these techniques though, relies on the assumption that the ice core is sterile – that is to say that because it is incapable of sustaining any life, the levels of gases within the samples will remain stable throughout the years. Now though, that assumption is being challenged. Researchers based at the University of York discovered that snow samples taken from both the Arctic and Antarctic contained methyl iodide, known to be released by particular types of bacteria. The paper, titled ‘Microbial metabolism directly affects trace gases in (sub) polar snowpacks’ was published in the Journal of the Royal Society Interface on November 20. Pristine sites in both the Arctic and Antarctic were sampled, with untreated ice cores being compared to those which had been sterilized using UV light. It was found that the untreated snow samples contained both methyl iodide and a range of other methyl halides, which are used to interpret how our climate may have looked in the past. “As microbial activity and its influence on its local environment has never been taken into account when looking at ice-core gas samples it could provide a moderate source of error in climate history interpretations. Respiration by bacteria may have slightly increased levels of CO2 in pockets of air trapped within polar ice caps meaning that before human activity CO2 levels may have been even lower than previously thought”. Unfortunately, this could potentially mean that human activity has been having an even greater impact on the environment than we had previously estimated. As well as potentially changing how we use ice cores to interpret the historical climate of Earth, this research also has implications for our study of other worlds. As astronomers search for planets which may have the potential to support life, research has focused on planets located within a temperature range which could allow for liquid water. Now, the search could potentially be expanded to include planets with icy water deposits. The next step in this research is to drill even further down, and obtain ice core samples from deep within the ice caps. Scientists know that bacteria are capable of surviving at extremely low temperatures for potentially hundreds of thousands of years. Now, the hunt is on to see if this could be the case within the polar ice caps.